In NEWS1893, we asked a very pertinent question: Is "The Passion" movie designed to produce a massive values and attitudes change amongst Evangelical Christians? New Age authors speak much of such a dramatic - sudden - change in the spiritual values of huge numbers of people that occurs nearly simultaneously. 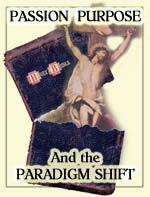 They call such a change a "Paradigm Shift In Consciousness". We warned in this first article that this movie has all the earmarks of being just such a Change Agentry! It appears we might be more right than even we imagined! Listen to this public posting of an email posted on a Christian Internet chat site. This lady is worried about sudden changes in her Baptist church -- after her pastor previewed "The Passion". 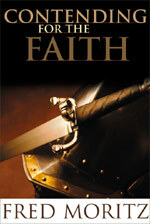 "My pastor and his dad who is also a pastor went to the preview at Willowcreek and Mel was there. These men were so profoundly shook up it took his dad nearly three weeks to recover from it. So what has happened since? "My pastor has introduced a contemplative attitude in our church. We have musicians who play mood music (christian) while the lights are dimmed, candles are burning and various altars are put around the church. One is a prayer altar, one a tithe altar...now here is the kicker...this altar movement is rapidly spreading around everywhere...the theme? Developing Houses of Prayer 24 hours ...the preaching of the word is down now to about 15-20 minutes tops...the rest of the time is to worship and meditate to bring the presence of God in our midst. "Our church has just started a small group thing called Renovare' and learning the contemplative lifestyle...and our church is Baptist. Ok now...am I wrong to be concerned?" Now that we have read this email, let us examine it in some detail. First, this Baptist pastor must be the shepherd of a large and influential church for him to get an invitation to attend a preview screening of "The Passion". His Dad, also a Baptist pastor, presumably has many years of experience under his belt as a pastor and should be expected to be firmly "rooted and grounded in the Word of God". Nevertheless, both men attended this preview screening. What happened? The two men were profoundly impacted. The elder Baptist pastor was "profoundly" shaken up in such a manner as to take "nearly three weeks to recover from it". What happened to the Baptist church after this "profound" shaking? The pastor immediately began to institute changes that apparently ripped the Baptist moorings right out from the church, instituting a "contemplative attitude". At first glance, that does not sound too troublesome, since genuine Christians have been meditating for 2,000 years. Of course, Satan has long had his counterfeit meditation in all pagan religions, including Roman Catholicism. And, Satan ensures that such pagan meditating is accompanied by the richest of words, espousing the most lovely of goals, all to mislead exactly as Jesus warned in Matthew 24:24. 5. Church is being turned in to "House of Prayer" - This sounds suspiciously charismatic and/or Catholic, as both groups push "prayer in the Holy Spirit" without a proper grounding in Bible doctrine, thus allowing Satan to counterfeit the prayer experience as well. 6. Cutting back on the actual teaching of the Bible. This lady notes that the preaching from the Word is now down to 15-20 minutes at most. These sermon texts are probably all about the "Love" of Jesus so prevalent in Apostate christian churches today. One of Satan's greatest victories occurred when he convinced church leaders that God and His Son, Jesus, are only Love, and have no other attributes. Continued preaching and teaching along this line invariably convinces the church member that such a "loving" God could never, ever send anyone to an eternal Hell. Finally, this lady noted that this Baptist pastor was instituting a new program called "Renovare'." Since I had never heard of this program, I went immediately to two trusted sources. First, I "Goggled" "Renovare' " and then I called Dr. Cathy Burns. Through Google, I found the official website -- http://www.renovare.org/ -- I encourage you to spend some time in this site, for it is clearly Ecumenical in outlook and Evangelical/Catholic/New Age/Charismatic in practice. How do I know that from perusing this site? First, I clicked on "Invitation", where I read the following revelation: "First, God is breaking down the old walls that separate and isolate us. We are being enabled to listen and learn and draw strength from each other in ways that have not been possible for a very long time. RENOVARÉ seeks to follow this powerful movement of the Spirit of God by bringing together the best spiritual treasures of several great Christian streams of faith and witness." 1. The phrase: "breaking down the old walls that separate and isolate us" is code for following the Ecumenical program. Rather than allowing the "old walls" of Biblical doctrine and Biblical separation from sinners and apostate brethren to divide churches and brethren, this program abolishes God's protective walls and begins to concentrate on what unites, on what people believe in common. Of course, this approach is straight out of the Abyss, for people who want to believe in doctrines with which other people are uncomfortable are called upon to forsake those doctrines so that everyone can just get along! 2. The phrase: "listen and learn and draw strength from each other in ways that have not been possible for a very long time" is code for "inclusiveness". In other words, a Baptist who believes in the Deity of Jesus Christ is expected to tolerate the belief of a Mainline Congregationalist, or Lutheran, who no longer believes in the Deity of Jesus. But, more than that, the Baptist is expected to keep his or her mouth shut on their beliefs, even though such prohibition does not exist for the other party! This is the new and greatly insidious, teaching of "inclusiveness". 3. The phrase: "bringing together the best spiritual treasures of several great Christian streams of faith and witness" literally means that doctrines of all branches of "christianity" will be tolerated, encouraged, and given weight. "We seek to fulfill our mission by promoting a balanced vision of Christian faith and witness that incorporates the best from several traditions or practices that we see in the life of Jesus Christ and the Church. To learn more about the RENOVARÉ balanced vision read Streams of Living Water by Richard J. Foster." The words, "balanced vision of Christian faith and witness" means that you have to learn about, and respect, all forms of religious thought, even if it teaches "another Gospel", which it most assuredly does! Foster even admits he is drawing from this type of polluted spiritual well when he says that this study "incorporates the best from several traditions or practices". Roman Catholicism stresses "Tradition". Charismatic stress "practices". Thus, we can see that this study will incorporate unbiblical material! Now, let us examine these six specific areas comprising Renovare'. 1. "Contemplative - the prayer-filled life - focuses upon intimacy with God and depth of spirituality. 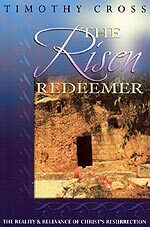 This spiritual dimension addresses the longing for a deeper, more vital Christian experience." Jesus also said His was the only way, the only "door" -- "Verily, verily, I say unto you, He that entereth not by the door into the sheepfold, but climbeth up some other way, the same is a thief and a robber." [John 10:1] When these men teach an "inclusive" doctrine, they are thieves and robbers all right -- thieves and robbers of precious eternal souls! 2. "Social Justice - the compassionate life" - focuses upon justice and shalom in all human relationships and social structures. This spiritual dimension addresses the gospel imperative for equity and compassion among all peoples." Quite literally, this short description perfectly describes the "Social Gospel" so fervently followed by Apostate Mainline Churches. Literally, such a follower comes to the belief that salvation is achieved by working amongst the poor, the disadvantaged, and the poverty-stricken. 3. "Holiness - the virtuous life" -- focuses upon personal moral transformation and the power to develop 'holy habits'. This spiritual dimension addresses the erosion of moral fiber in personal and social life." Ah, what sweet words! Everyone knows that "holiness" is a Biblical virtue. And, who would not want to stop the "erosion of moral fiber in personal and social life"? However, apart from traveling the "Narrow Path" that Jesus prescribes, the only "moral transformation" you will experience is the lousy counterfeit offered by the 'great deceiver', Satan himself. The words, "holy habits" also smacks of Catholicism.They are the ones who follow strict rules (habits) of "mortifying the flesh" to try to bring themselves closer to God! 4. "Charismatic - the spirit-empowered life - focuses upon the charisms of the Spirit and worship. This spiritual dimension addresses the yearning for the immediacy of God's presence among his people." You see, when a person acts in an unbiblical way in order to "serve Jesus", our Lord refuses to recognize the validity of that service. When a person serves in an unbiblical manner, he or she is acting out of "iniquity". Remember, Jesus makes the final decision as to whether a person is His or not His. If you want to know if you are serving Jesus biblically, just carefully search out the "whole counsel of God" and mirror your life after what the Bible says. 5. "Evangelical - the world-centered life - focuses upon the proclamation of the evangel, the good news of the gospel. This spiritual dimension addresses the need for people to see the good news lived and hear the good news proclaimed." Once again, you have to pay attention to the specifics as to what constitutes the "good news of the gospel", for Satan is an expert in propagating a counterfeit "other Gospel". The Purpose Driven church I attended led people through a "prayer to accept Christ" that did not recognize sin, or repentance, or the blood sacrifice that atones for sin! This is the real "other Gospel" of these churches, and it is absolutely worthless in saving the soul of the person who prayed that prayer! 6. "Incarnational - the sacramental life - focuses upon making present and visible the realm of the invisible spirit. This spiritual dimension addresses the crying need to experience God as truly manifest and notoriously active in daily life." This appears to be Catholicism, with its emphasis upon the "sacraments". Therefore, you can see that this program is thoroughly Ecumenical, designed to pull all religions of the world into a One-World Religion! However, Dr. Cathy Burns shed some more light upon this program and Richard Foster. She said that Foster has developed a combination christian/New Age study program. In fact, his original book spoke of "Out-of-Body experiences", which is Satanic through and through. Foster has since deleted that reference to his materials. This development is severe. Two Baptist pastors were so strangely and powerfully moved after previewing "The Passion" that they needed three weeks to "recover". 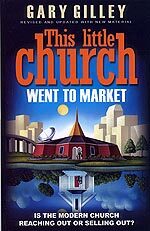 Then, they began to implement drastic changes in their Baptist church, turning it into a practice of Catholicism/Charismatic/New Age/Mainline Protestantism. In our Part 1, we warned that this movie seemed to contain all the elements that could propel christian churches, their leaders, and followers, into a dramatic "Paradigm Church". If you have not read Part 1, please do so now; our warnings seem to be coming true! One of THE major signs that the End of the Age is truly approaching is when you see the great majority of Christian churches falling away from the Fundamentals of the Faith. 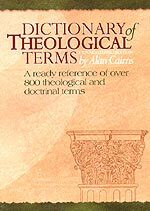 A pastor or church leader that knowingly moves away from teaching the "full counsel" of God, and begins incorporating unbiblical and human elements in his services and his teaching, is literally -- and Biblically -- opening the door to Antichrist. How many well-meaning pastors have ever thought of this sober fact as they lead their churches into areas that are not Biblical? Liberal pastor -- or increasingly Liberal pastor -- you are opening the door to Antichrist, and you will face this reality on the Day of the Judgment Seat of Christ! And, "The Passion" may be so constructed that it will sweep apostate church leaders into the "new paradigm", the coming Kingdom of Antichrist. Christian, do not see this mystic Roman Catholic movie!